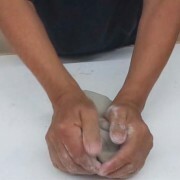 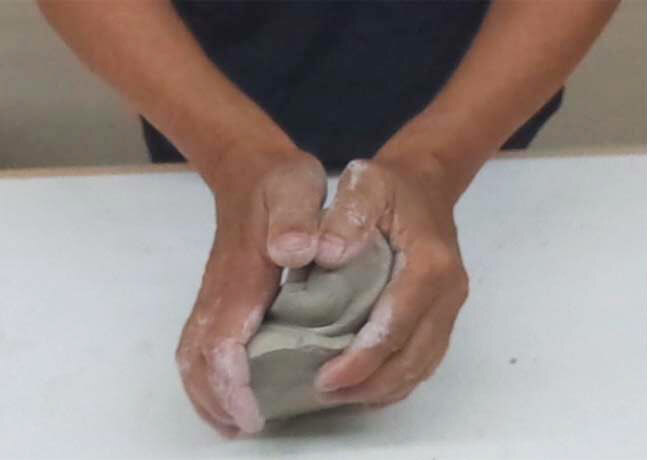 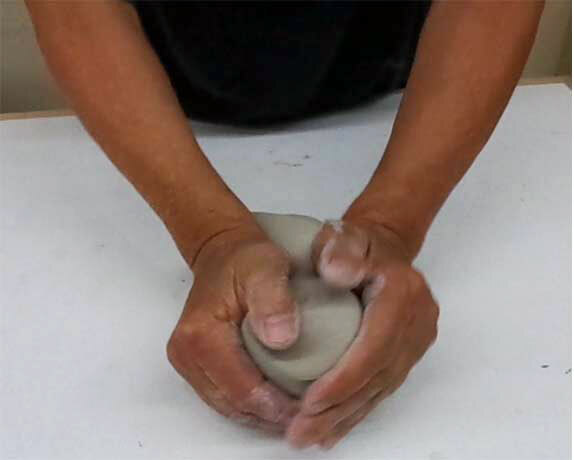 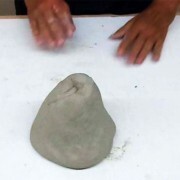 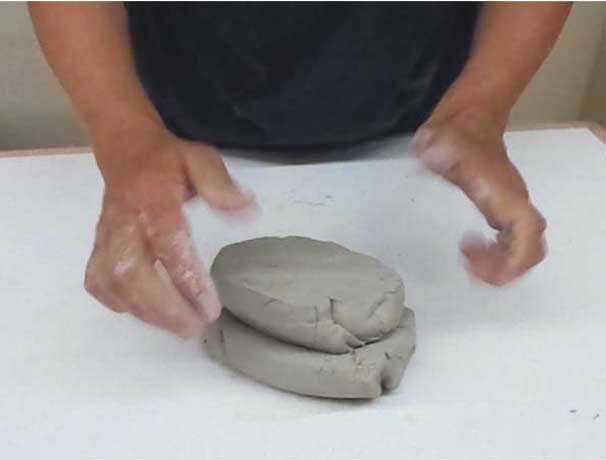 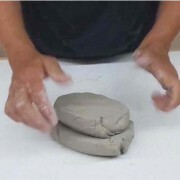 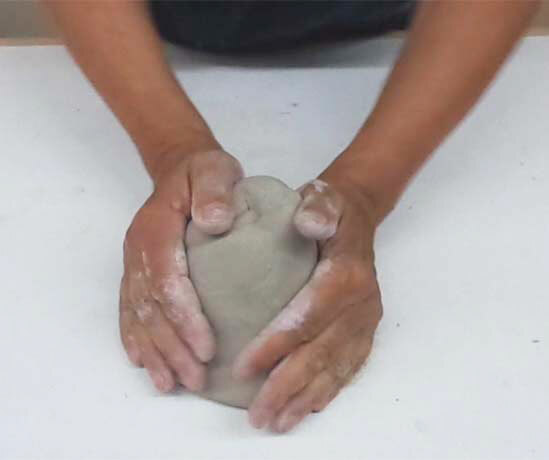 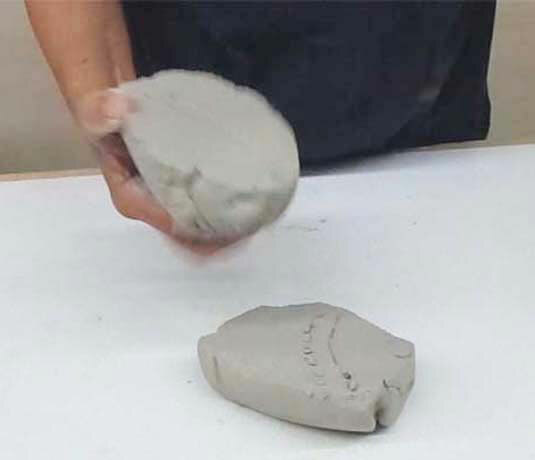 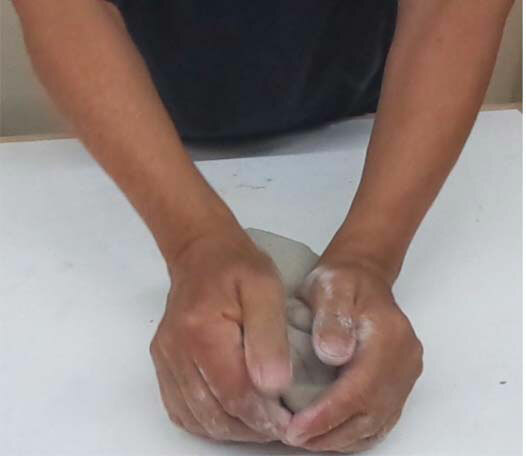 Ceramic Dictionary - by Susan Mussi: CLAY (1) Kneading. 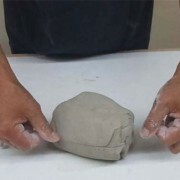 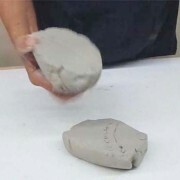 1) Cut the clay to the size you find workable. 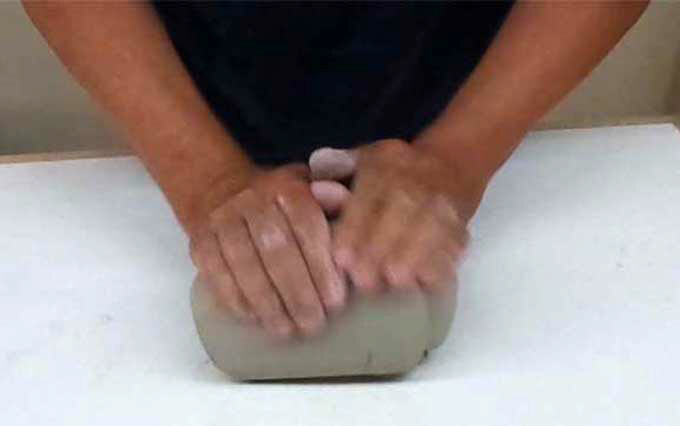 2) Push it down and outwards forming a rectangle of the size you require. 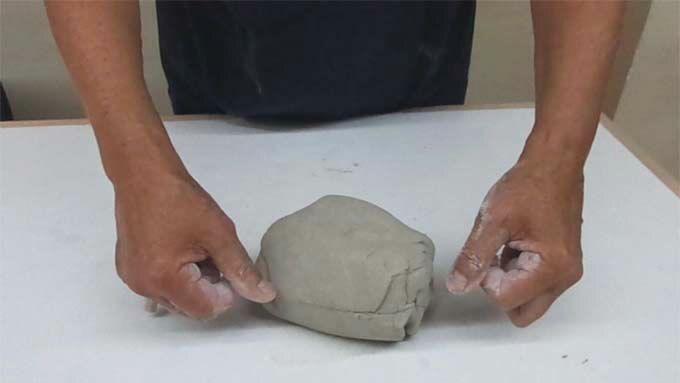 3) Turn and pull up the edge furthest away bending it into a vertical position. 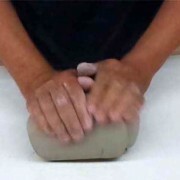 4) Push it down pressing the part nearest to you and flatten it out. 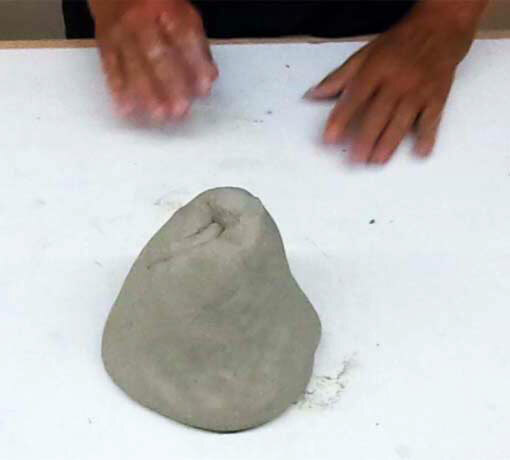 5) Turn 90º and continue repeating until it is well mixed.